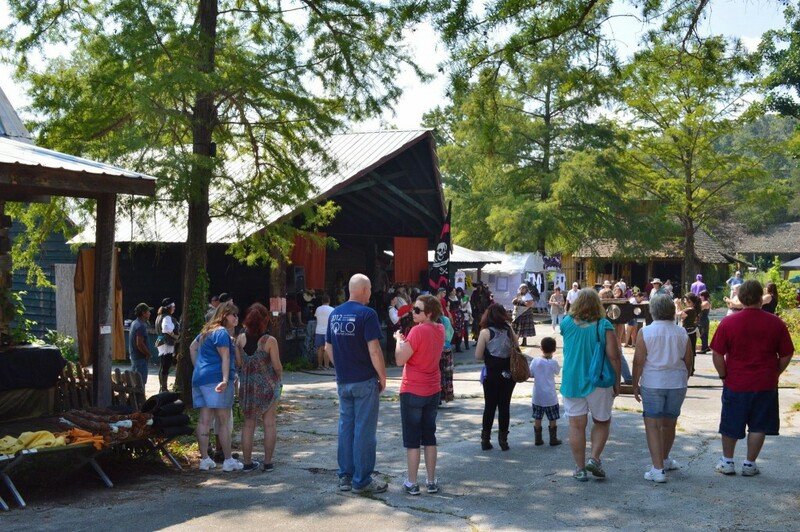 Families streamed into the park for a September event, and more are planned! On dreary Mondays like today, when the world is chock full of bad news, it’s a comfort to remember that there are good folks doing good things, and some not so very far away. In fact, just up the road a ways (Hwy 7 North, the Natural State’s Scenic Route) there’s a place that Arkansans of a certain age remember well. A place dedicated to fun and families. As a concept, first created in two dimensions by a cartoonist named Al Capp: Dogpatch, USA. A place we thought we had lost forever. When I was a kid, my sisters and I LOVED going to Dogpatch. Arriving there after a couple hours’ journey up the Pig Trail was like entering another dimension of time and space – a universe of laughter, silliness and good times. For an eight-year-old with an overactive imagination (me), it was sheer heaven. The setting—gorgeous Ozark mountains, forest, waterfalls, the whole bit—was beyond beautiful. 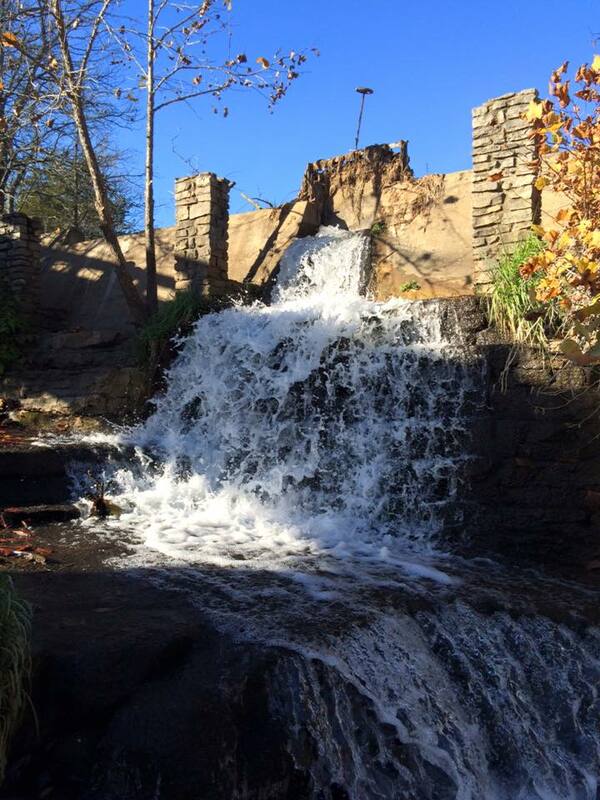 The stonemasonry was built to last, as evidenced by the park’s waterfalls. These days, the property is getting help from some highly motivated hands: Eddy Sisson, part of the team of photographers called “Abandoned Arkansas” together with partner Mike Schwarz, is archiving the rebirth of the place as “Dogpatch Village.” Eddy’s been updating photographs over the past year via his Facebook page and event pages – there’ve been some fun shindigs up in yonder hills, and folks are helping bring the area back to life. I interviewed one of Dogpatch’s most memorable characters a few months ago: award-winning Arkansas actress Natalie Canerday remembers the theme park fondly and counts it as a foundational part of her life. Her thoughts on the place are worth repeating. A native of Russellville (“God’s Country,” she interjects), Natalie got her first break performing at Dogpatch. 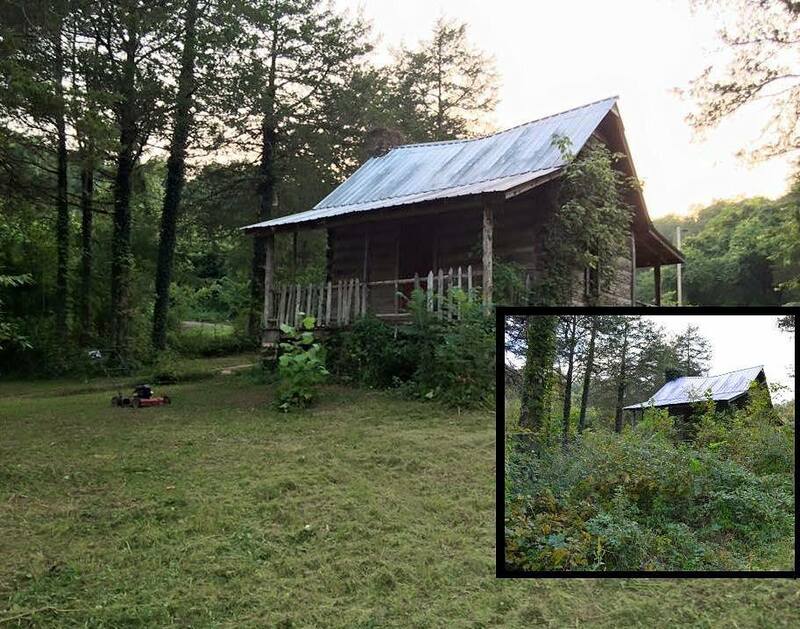 With news of the property’s sale to a motivated owner, generations of Arkansans are expressing hope of a hill-country renaissance. Natalie counts herself firmly among the optimists wanting the park to prosper, in whatever form it takes. 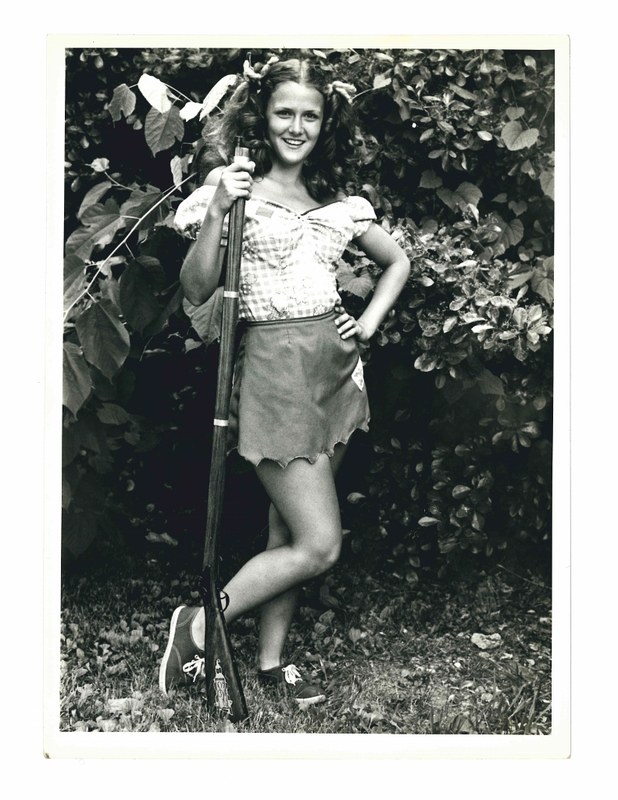 “I was a senior in high school when mother saw they were holding auditions for characters at Dogpatch,” Natalie recalls. “I worked up a song from Oklahoma (‘I’m Just a Girl Who Can’t Say No’) and a few bars into it, I forgot the words!” Instead of freezing in panic, she sashayed up to the man accompanying on piano. “I got behind him so I could cheat and read the words on the sheet music,” she laughs. “I began rubbing his bald head as I sang.” She won the part. Natalie Canerday as “Moonbeam McSwine” stands with Pappy Yokum. 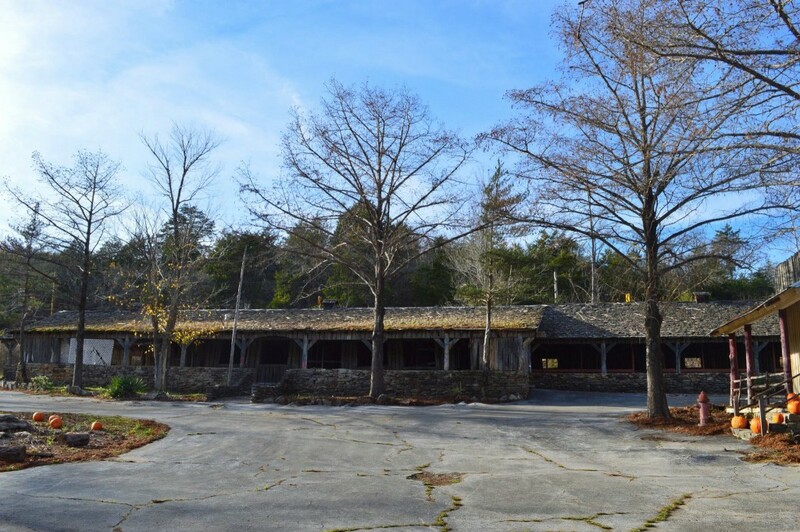 But in the summer of 1980 the place was in full swing, with rollercoasters, musical shows, non-stop roving skits and improvisational performance featuring characters led by Li’l Abner and Daisy Mae. (A thesis could be written on the significance of Li’l Abner’s and Daisy Mae’s archetypal foreshadowing of Jethro Bodine and Ellie Mae Clampett, but probably never will.) Harrison, Arkansas, and surrounding hamlets were amply rewarded for embracing Dogpatch’s hillbilly caricatures as tourism boomed, boosting the local economy. By the time senior prom arrived, Natalie had been commuting to perform on weekends for over a month. After high school graduation she went full-time at the park. It soon became apparent that the summer of 1980 would go down as the hottest in Arkansas history. Natalie, with trademark enthusiasm, welcomed this trial by fire. “I drove up in my ‘76 Monte Carlo,” she says. “They housed us in a little circular trailer park called Rock Candy Mountain—honey, it was smaller than any dorm room. All the performers stayed there. The others were in graduate school from Texas, Louisiana and elsewhere. At night, it was cool—they’d sit on the steps drinking, singing songs and playing guitar.” Natalie, all of 18 and away from home for the first time, was captivated by the atmosphere of laid-back creativity. “That first year I was Dateless Brown—she carried a shotgun looking for a husband,” she explains. Lugging around a heavy antique rifle as a prop, Dateless Brown roamed the park searching for unwary little boys. “If they looked like they still thought girls had cooties, I’d come up to them and say ‘hey little feller, wanna get hitched?’ and make smooching sounds,” she says. The boys would run off screaming in terror and delight. “Dateless Brown” roamed the park scaring little boys. Natalie attended college at Hendrix (Class of ’86 4-Ever!) and majored in theatre but maintains she learned everything she knows about staying in character during those sweltering Dogpatch summers, where heat stroke was a daily occurrence and the whole place, from town square to train depot and lake, was a theatre in the round. 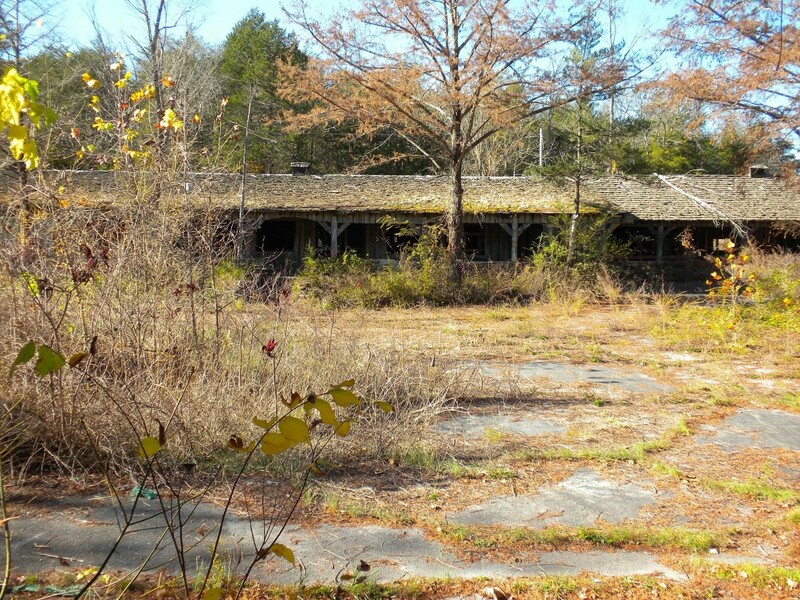 A before-and-after pic of one of the park’s cabins. And thanks to the artistry and hard work of some very dedicated folks, there is indeed a future for the formerly abandoned place. The sky is the limit where Dogpatch is concerned, so let’s dream big!